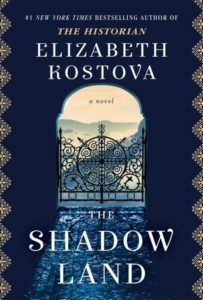 The Shadow Land, by Elizabeth Kostova, is a difficult book to describe. It’s a literary thriller. It’s a history lesson about Bulgaria. It’s a timely reminder of the dangers of totalitarianism. The protagonist of the novel receives the wrong suitcase in a mixup outside a hotel and sets off in search of a man named Stoyan Lazarov. After a rather long windup, the reader is introduced to Lazarov and learns of his struggles while his country was under Communist rule. Kostova’s books are doorstops, there’s no way around it. The Shadow Lands clocks in at 478 pages. Despite a slow start, I ended up loving this book. Save this one for a long, chilly weekend.